Click Here for a larger version on Flickr. 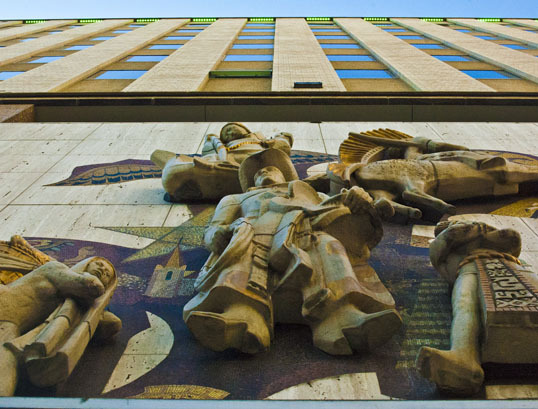 This is a well-known mosaic by Millard Sheets on the front of The Continental Building in downtown Dallas. There was some worry that the artwork would be destroyed during renovation – but the owners have committed to preserving it. This entry was posted in Photography and tagged artwork, Dallas, downtown, millard sheets, mosaic, Sculpture, Texas. Bookmark the permalink.